You better hide ya kids, hide ya wife, and hide ya husband (II), because "Bed Intruder Song" is currently #25 on the iTunes Charts. What's the "Bed Intruder Song"? 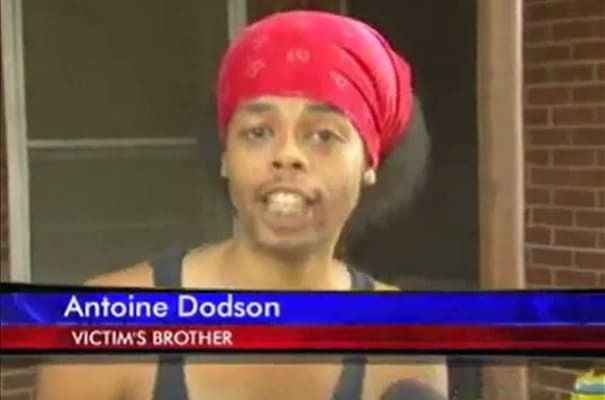 Well, in case you missed it, a local news report popped up on the Internet not too long ago and became an instant viral classic thanks to a flamboyant interview given by a man named Antoine Dodson. As if that video wasn't hilarious enough, someone took Dodson's interview and flipped it into a shockingly hot (and still funny) song. But this isn't a new phenomenon. People have been turning Internet memes into songs for a few years now. It's simple: Just take a meme ("We'll do it live!" or "It's fun to do hoodrat stuff," e.g. ), add a beat, and remix the vocals, giving us a chance to laugh at those videos all over again. Inspired by "Bed Intruder Song" we're taking a look at our 10 Favorite Internet Memes Turned Songs. Ladies and gentlemen...THIS. IS. THE. REEEEEEEEEMIX!